HEY WHATS THAT ON YOUR FACE? 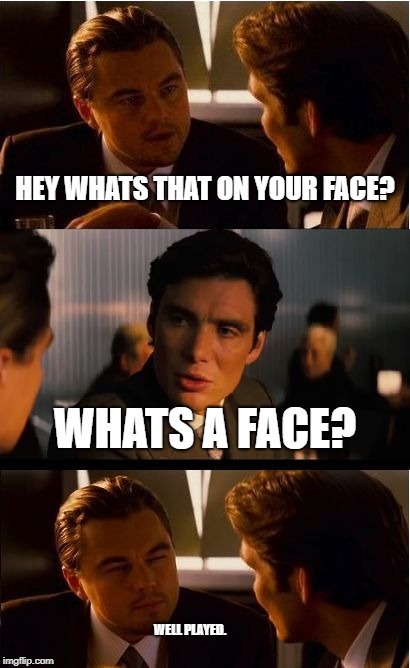 WHATS A FACE? WELL PLAYED.